Swahili has become a second language spoken by tens of millions in three African Great Lakes countries where it is an official or national language. Swahili, also known as Kiswahili, is a lingua franca of the African Great Lakes region and other parts of Southeast Africa, including Tanzania, Kenya, Uganda, Rwanda, Burundi, Mozambique, and the Democratic Republic of the Congo. Although only around five to fifteen million people speak Swahili as their first language, it is used as a lingua franca in much of Southeast Africa. Estimates of the total number of Swahili speakers vary widely, from 60 million to over 150 million. 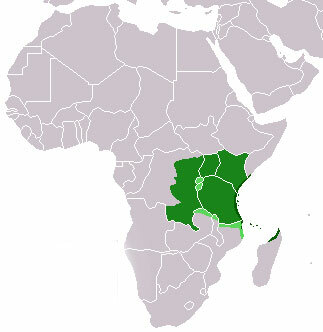 Swahili serves as a national language of four nations: Tanzania, Kenya, Uganda, and the Democratic Republic of the Congo. Swahili is also one of the working languages of the African Union and one of the official languages of the East African Community.